Ever heard the phrase "skinny-fat"? It might sound like an oxymoron but it's an actual thing. Check this out...your body is made up of a number of things, but two of the larger parts tend to be muscle and fat, unless you're like me and you have 0.5% body fat. Ha, I wish!!! But seriously, some people are thin because they have barely any fat and others are thin because they have barely any muscle, but their fat percentage can still be high. The old "big-boned" theory is a bit of a myth as bone thickness varies very little among different people but here's an image which highlights the difference between a skinny-fat person and a toned person. Imagine this image represents the cross-section of two different people's upper arm. You can clearly see the difference and at a guess, I'd say that in the image on the left, the fat represents over 50% of the area, and the muscle might represent 30% with the bone making up the remaining 20%. On the other image, the muscle makes up the majority, probably around 70%, the bone the same so around 20% which means the fat percentage is around 10%. However, both arms are exactly the same diameter!!!! The one on the left is skinny-fat and the one of the right is lean and toned. This happens all the time and the difference is not so much what you eat, but what you do. Theoretically both bodies are roughly equal when it comes to calories in vs. calories out, but the image on the right uses its calories to grow muscle and build strength, whereas the image on the left conserves the energy as stored fat, but lacks muscle and consequently, lacks strength. This situation is often a result of dieting without strength training because the bodies logical assumption is that if calories are restricted, and muscles aren't being utilised, they're wasted tissue, so they get broken down and converted into useable energy. This is called "atrophy". I'm pretty lean. Depending on the time of year I'm 6 foot 1 and about 185lbs at 14% body fat or 175lbs and 8% body fat before a photoshoot or holiday. There are plenty of people my height and weight whose bodies are closer to the image on the left, so they're neither strong, toned or lean and likely to be 30% body fat or higher. You might call them skinny fat. Avoid being skinny fat by using your muscles as much as you can and controlling your calorie intake so it's suitable for someone of your height and activity levels. If you're a bit lost when it comes to strength training or balancing your calories then you might look into my Custom Fit Programme. 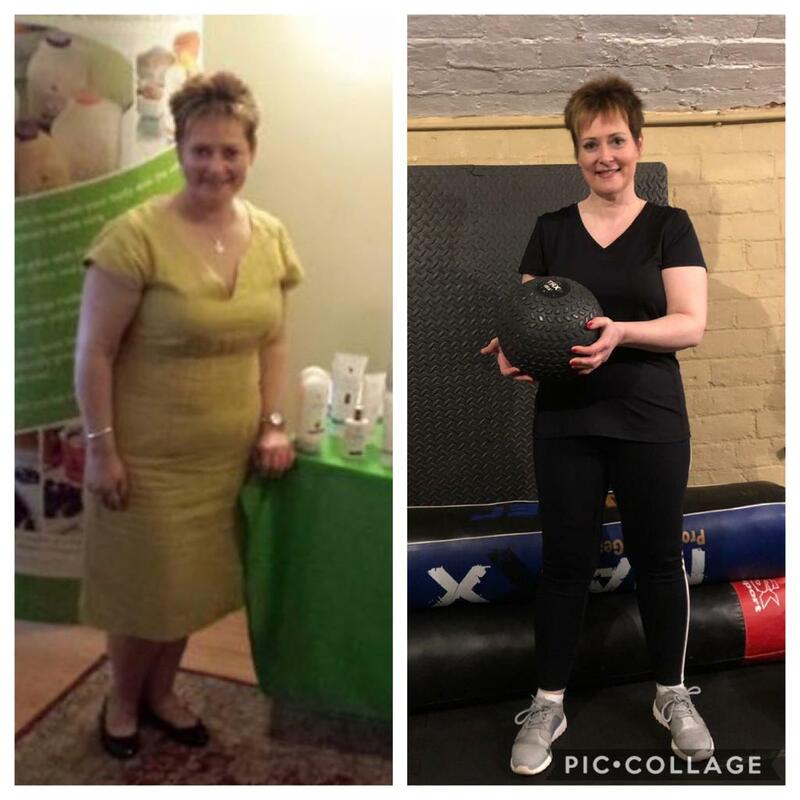 Georgie did it, (pictured below) and although I can't take all the credit for that transformation, as she did it over a 2 year period, she did lose 14lbs in her 12 weeks working with me. She also made some significant strength gains despite having MS and a dodgy hip. I'm a very proud coach! It's her last week on the Custom Fit Programme and whoever fills her spot gets 10% discount. It could be you! Click below to schedule a call and find out more.